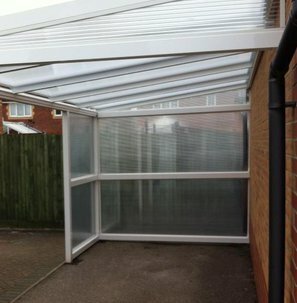 Our fixed panel solution is designed to be a permanent fixture which can transform your canopy or carport into a part, or fully enclosed area. 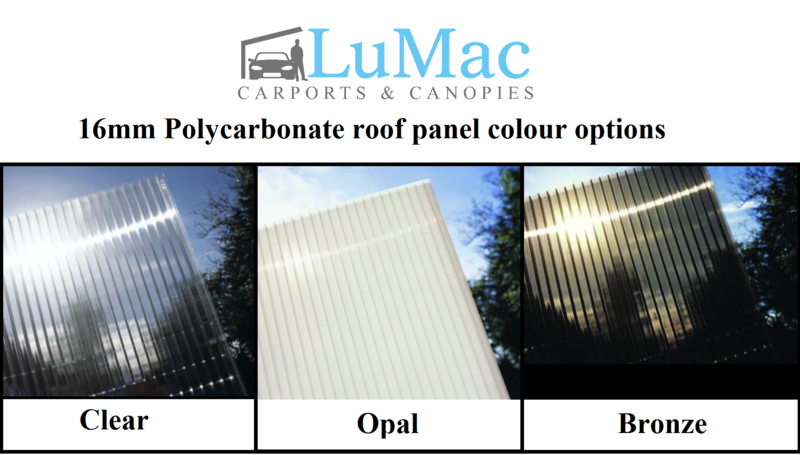 The materials used are 16mm polycarbonate, the same material as the roof panels on standard LuMac canopies, or our clear as glass premium option, which is 6mm plate polycarbonate. These materials' have been selected by us as they are durable, weatherproof and the strongest on the market. 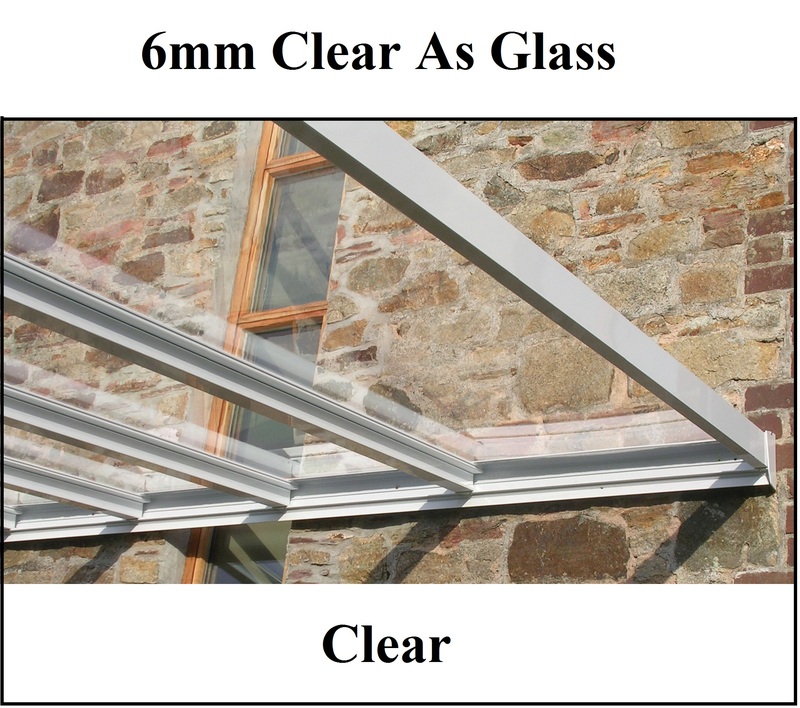 The 16mm polycarbonate is available in a range of finishes: clear, opal and bronze to suit your current structure. The fixed panel option is the solution for you if you require either one, or all open sections of your canopy to be enclosed but still like the natural light afforded by this product. The fixed panels provide privacy, protection from the elements and, if used on all sides, can transform your canopy into that much needed extra room all year round. Suitable for garden covers, carports, alleys, walkways, smoking shelters and even to protect your stylish hot tub, LuMac fixed panel enclosures are both versatile and extremely functional. 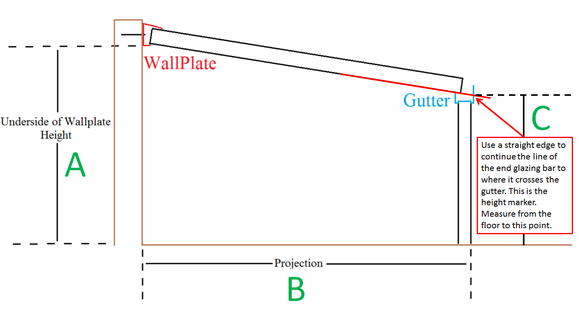 For Example pictures of Fixed canopy enclosure panels - Click here. 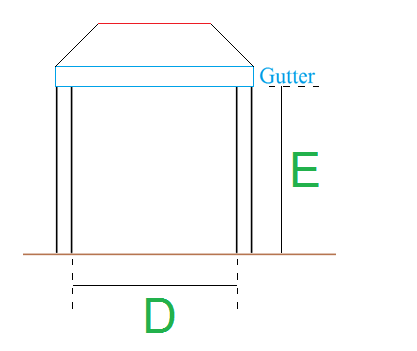 The fitting guide outlines the tools you will need to fit the fixed side enclousre, what is provided in your enclousre kit and a comprehensive step by step guide.